Think of iodine as the fuel your thyroid glands need to function. When you imagine your body as a machine, you’d undoubtedly describe the thyroids as the engine. These glands play several crucial roles for optimum well-being, the most important being that it allows proper hormone production. But as with any well-oiled machine, your thyroids need a lubricant, or, rather, an energy source. Sixty percent of all iodine in the body is stored in the thyroid gland. The rest is distributed throughout the body, with more stored around the ovaries, muscles, and blood. The essential trace mineral is needed for normal development and growth. Deficiencies in iodine can result in hypothyroidism which is characterized by sluggishness or fatigue, weight gain, sensitivity to temperature changes, and dry skin, among others. Because iodine plays such an important role in hormone synthesis, women are more prone to conditions concerning their thyroid than men. In severe cases, women can develop an extremely large thyroid, which is then called a goiter. For the most part, iodine deficiency in developed countries is rare, as the mineral is typically added to table salt. Developed countries likewise have more iodine-rich soil. This allows for crops to absorb the nutrient and prevent any deficiency. Conversely, it is estimated that there are around one billion people in developing countries who suffer from an iodine deficiency. Regulates metabolic rate — Continuing the machine analogy, hormones are your little corks and screws that keep everything together. These little guys are directly responsible for controlling your base metabolic rate. This affects the way all your organs perform. Metabolism is also involved with how you absorb food, how well you sleep, and most importantly, how you transform food into usable energy. Keeps you energized — Iodine ensures the efficient use of calories. 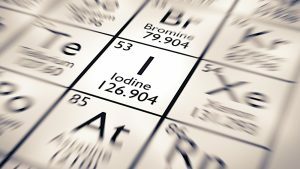 Instead of your food becoming fat (and making you feel more tired and fatigued), iodine allows you to extract the necessary energy from all food items. Maintains skin and hair health — The mineral aids in the formation of healthy, supple skin. It also plays a role in the health of the teeth and hair. A deficiency in iodine can result in hair loss. Prevents stillbirths — Pregnant women who suffer from hypothyroidism are often told to take iodine supplements to prevent stillbirths or neurocognitive conditions in their newborn babies. A lack of iodine during pregnancy may also lead to gestational hypertension which can lead to complications during infancy. 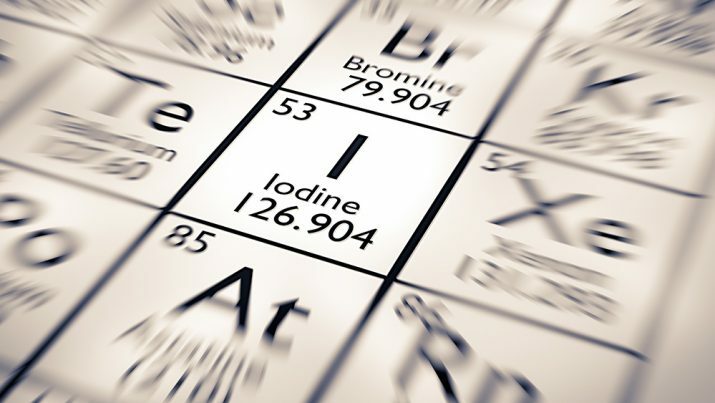 Moreover, studies have shown that women who lack iodine can become infertile over time. Boosts the immune system — Most people remain unaware that iodine is an effective scavenger of free radicals, much like vitamin C. Further, the mineral increases the activity of antioxidants in the body. Reduces the risk of cancer — As a result of the previous point, iodine can be used to lessen the risk of developing various forms of cancer. One study observed iodine’s potency in inducing apoptosis (cell death) among breast cancer carcinoma cells. Removes toxic chemicals — Iodine forcibly expels numerous chemical toxins such as fluoride, lead, and mercury from the body. It does this naturally by flushing it out through urine. Several medical reviews have stated that iodine dosages of more than 2,000 miiligrams a day is extremely dangerous. Patients suffering from kidney disorders or tuberculosis should consult with their medical practitioner before taking any form of iodine supplement. Pregnant women and nursing mothers as well are told to be cautious about their iodine intake and should only consume specifically prescribed doses. Take note too that each person reacts differently to the same levels of iodine so constant monitoring is suggested. Iodine is the peanut butter to the thyroids’ jam. The trace mineral is essential for proper hormone production. Consequently, all body systems are supported by iodine. Iodine is needed by your thyroid gland to function. The trace mineral allows for proper hormone synthesis and thus plays a vital role in several bodily processes.